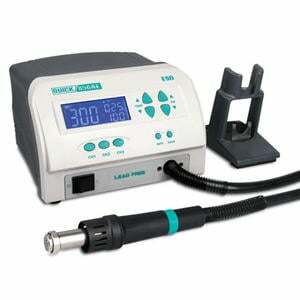 Kaisertech offer an extensive range of proffional rework equipment from Quick. The range comprises of: Hot Air Rework, Desodering Stations, Hot Plates, Preheaters & Vacuum Pick Up Pencils. In addition to rework equipment we also provide a comprehensive range of consumables such as solder flux, solder wick, soder wire & solder paste from MBO.